Community service - charity, sport, other. VasiMa supports patriotic causes and projects in different areas of social life: education, culture, sport, art and more. Maximum profit is not our only goal! To do good is a matter of personal choice. There are people that do good because they believe so, others do good by choosing not to do bad, and for some doing has become personal cause or a job. Our management is responsible not only for making profit but as well as bettering the life of our society. Company social responsibility is our duty. Providing for economic development and good relations with our employees, their family, the local community and society as a whole. “The real magical spirit lives constantly in your heart, in my heart, in the hearts of everybody who believes in the joy of giving. The real Christmas spirit is what YOU CAN GIFT and not what you can receive. When you realise that Christmas turns into something more magical because you start to realize that if you believe in the spirit of Christmas, the magic is coming right out of you” The spirit of Santa is not necessarily dressed in red clothes. It is not important to wait for a reason, it matters if you extend your hand in the right moment. Rosi didn’t have a camera. Two days before a championship she was in, the VasiMa director gave Rosi a camera to demonstrate his faith in her. Success followed shortly. Congratulations Rosi! Happy 2015! Let Rosi have many more victories and let there be more people willing to help. In our showroom on Storgozia 81 there is a box in which you can donate money to help buy warm shoes for children denied of parental care. The collected money will first go the homes in Vraca, Pleven and Totlben and with their help will be purchased shoes for every day and physical education. Every client can contribute when purchasing or willingly when passing by. Our showroom is on a convenient spot by the postal office in Storgozia 81. We have a big parking. The size of the donations will be double by VasiMa and transferred to the “Hope 2001-89” foundation. Every penny donated patters. During the school 2014/15 1537 children in the country receive free hot lunch. In Pleven their number is 40. The warm lunch is often the main drive for the children to go to school. 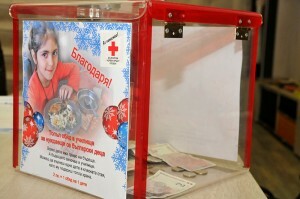 We work to support the “Warm lunch” program by the Bulgarian Red Cross. Every client can contribute when buying or not the sum of 2 BGN – the estimate for 1 hot lunch. The goal is to provide lunch for a year for 30 children in the Gulanci area. In a specially branded in the office on San Stefano 32 our clients can donate. 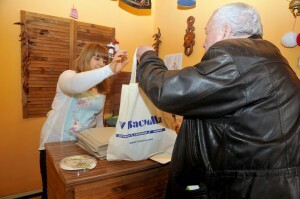 The size of the donations will be double by VasiMa and transferred to The Bulgarian Red Cross. Lets help! We only recently began to understand the meaning of shared value. The creation of shared value begins with understanding that in order to succeed in the long term, the society we live in must prosper also. That is why we feel responsible to help in any way we can. Creating shared value is our main goal! If you know of a charity VasiMa could help please do not hesitate to contact us! Charity is what unites our team. Since the foundation, many contributions and acts of kindness have been made on our part. And all of it was from the heart. This is what we stand for today. 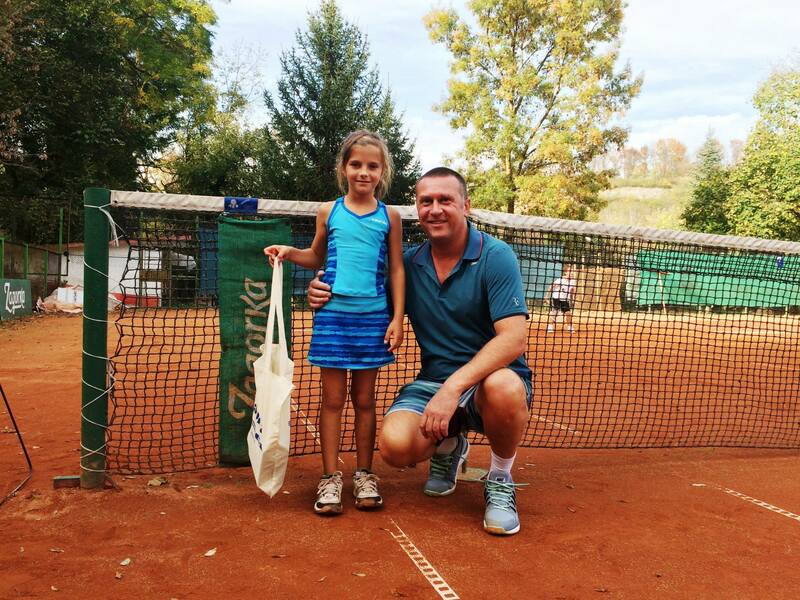 The goal of this project is to give a part of our profit to the Tennis club 90 in Pleven to help them sports gear for the children playing. Products during this period will be offered with a significant discount. 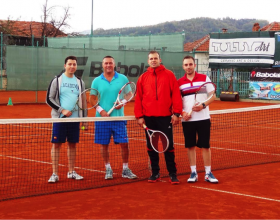 Buy blinds or windows – help the Pleven Tennis club 9. 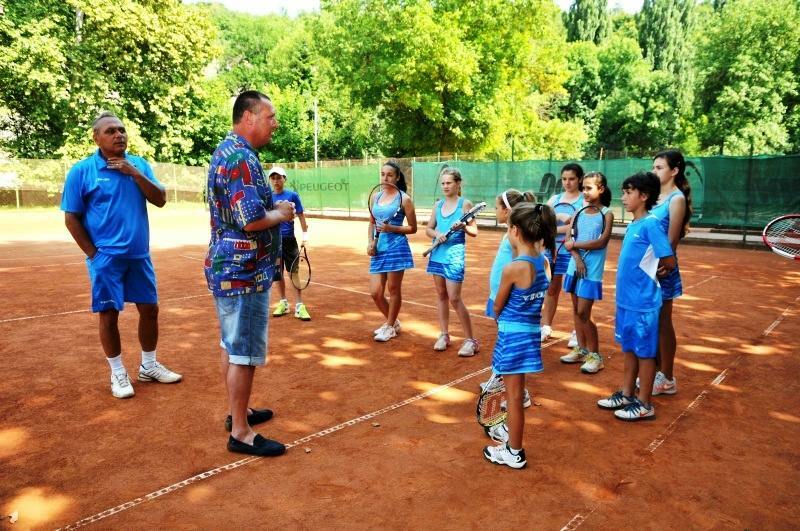 There 10 children aged 7-16 years in the team. 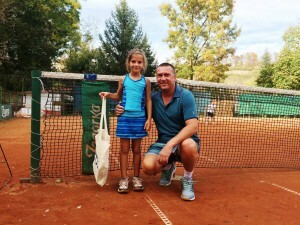 Recently we organized a tennis afternoon and the children’s enthusiasm and smiles quickly got to us. We want to share this celebration with you. We will keep helping Tennis Club 90 by taking % of our sales and giving it to them. It makes us proud that we are helping these children realize their dreams! customers goes beyond their need for quality windows and doors. 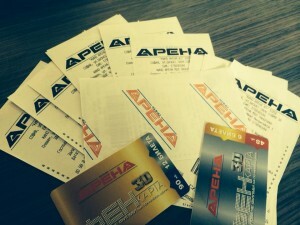 We know that Boian Petrov has many fans among our Pleven clients and that is why we chose to support him. VasiMa is a leading company and as such wants to be associated with the best! “We are very happy we have VasiMa behind us and are thankful for the suuport” shares Boian Petrov. In the beginning of the 2014 sports year Boian Petrov presented in front of press and friends his bike. His “Pride” was treated with a new tuning. The financial help continues in 2015. 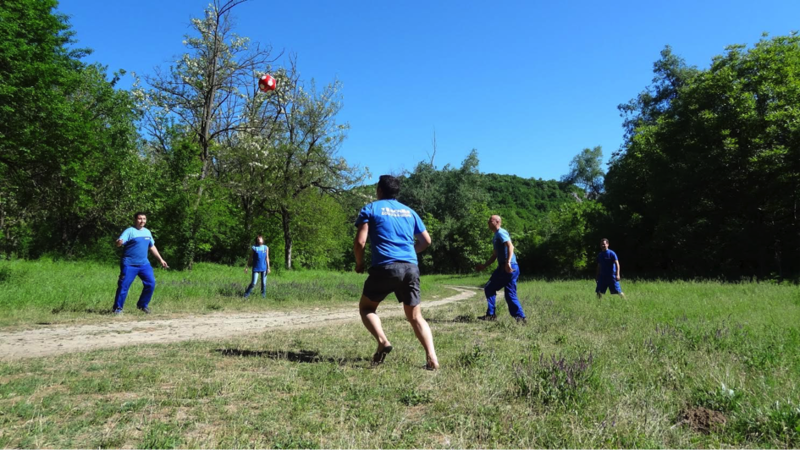 Orehovica village, Dolna Mitropolia has a good traditions in amateur soccer. 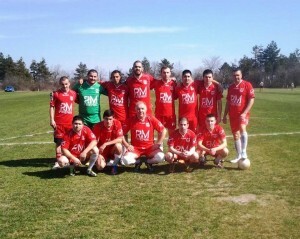 FC Iskar-Orehoviica has good achievements in the regional groups. Since 2014 VasiMa supports the team. years I still haven’t forgotten where I’m from! And I am proud of it!” Stoian Ivanov. 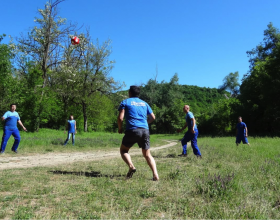 Sponsoring the team in their upcoming games is part of our plan to help sport in Bulgaria. 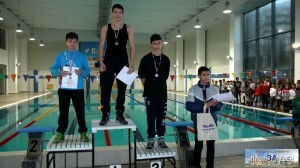 The winners were awarded by the secretary of Pleven municipality Branimir Mirchev. VasiMa provided the awards for the winners. Swim for health and VasiMa will award you! We are also contributing to making our urban habitat better. As an employer with a developed social policy VasiMa understads its significance for helping develop society. Understanding and following the leading tendencies for company social responsibility in the area of human capital. 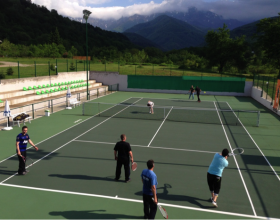 We constantly hold fun and diverse team building programs. As a result we have a strong feeling of cohesion and team spirit. 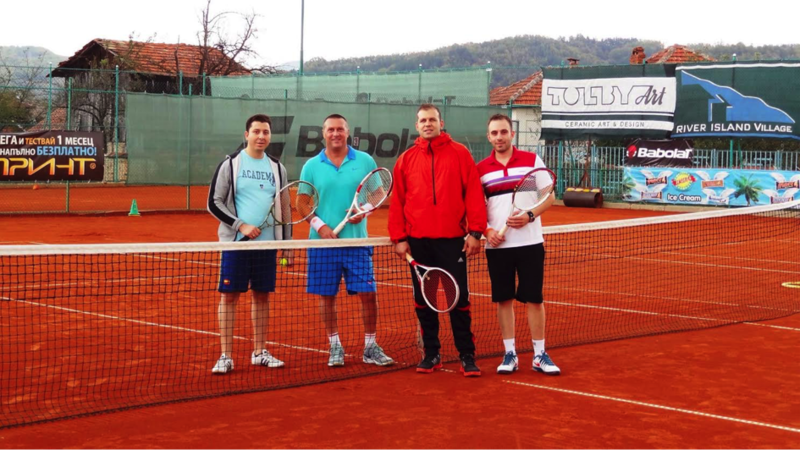 VasiMa not only supports the Pleven Tennis club 90 but also provides opportunities for tennis and other games for its employees. 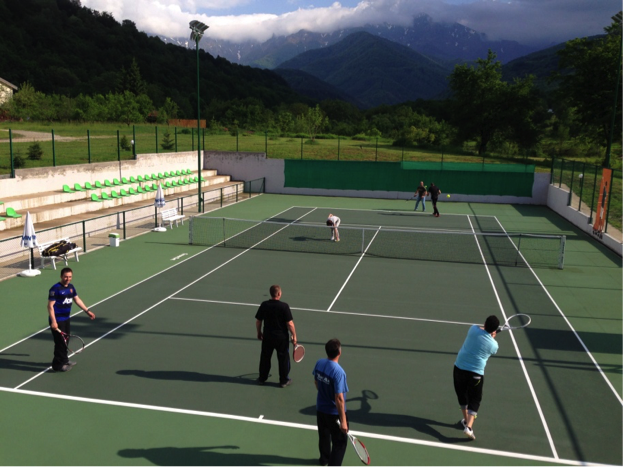 All year long providing facilities for tennis, ping pong, foosball and more of our favorite games. We also enjoy going to movies, theater, concerts and restaurants. We are together in art as well! The most important thing for us is our children’s happiness. We are making it a tradition to not only give gifts for every child but also organize a Christmas party for the children of our team. Our socially responsible politics helps us balance between profit and people and the environment. Nobody should stay indifferent to the destruction of the environment and the endangering of future life. Did you know that one plastic bag is made in a few minutes, used 20 minutes on average, but it takes 100 to 400 years to degrade. Thrown in the thrash, their life continues. But they are cheap and thus preferred by the industry. The real danger with plastic back is their resistance to sun light and humidity. 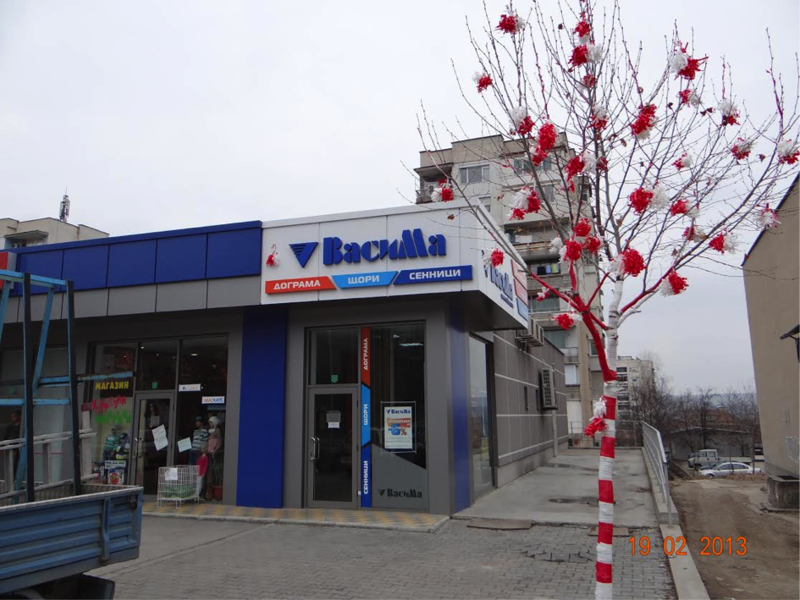 Unlike other countries, in Bulgaria people still do not pay enough attention to this issue. Many are fine with leaving plastic bags behind them when they go out in nature. That is why on 1st of October 2014 in Bulgaria was implemented a tax for every bag manufactured. VasiMa doesn’t shy away from these efforts. We gave away textile bags to our clients, partners and a few bakeries in town to help reduce the number of plastic bags. “If you can’t do good to a human, do good ” We have patience and respect for our clients, motivation to do our duties but we also find time for the animals. This is Vasinka, our company cat. When you do good, even if it seems little, it’s never in vain.